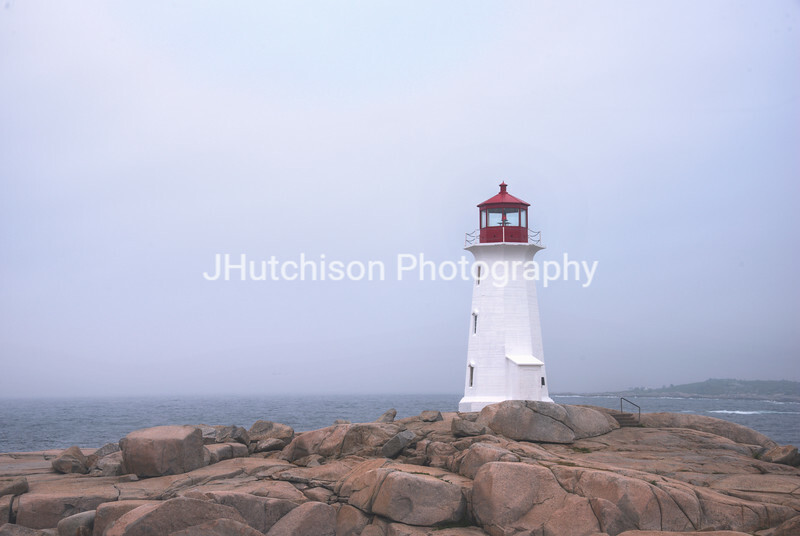 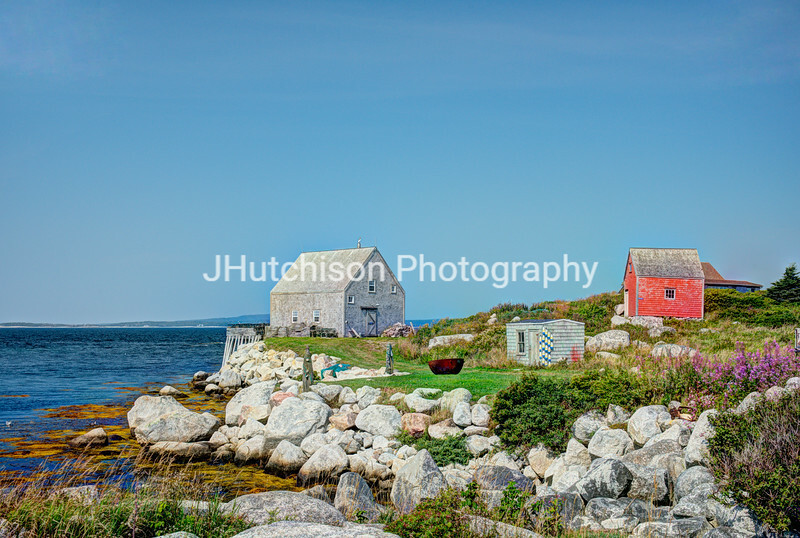 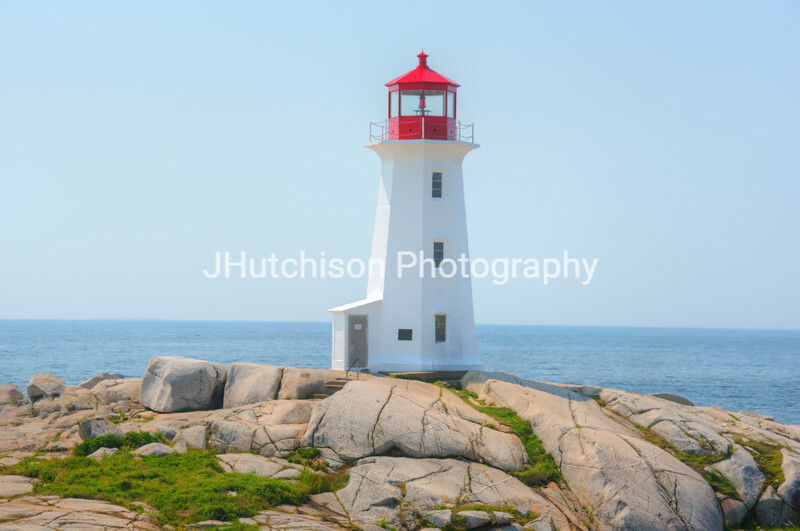 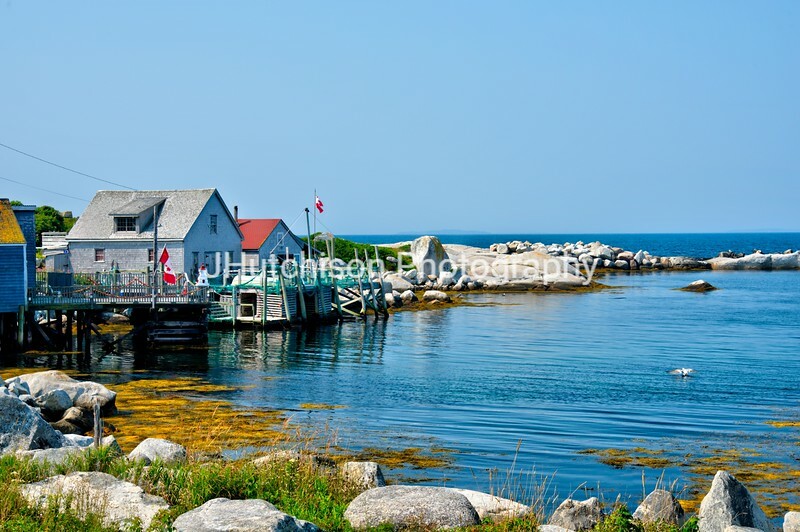 The village of Peggy's Cove, Nova Scotia on a beautiful, clear day. 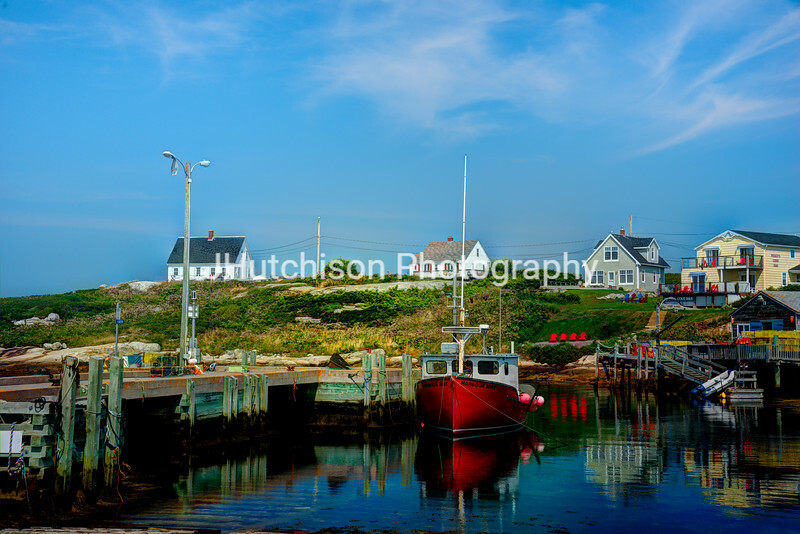 The Atlantic Ocean is almost at high tide. 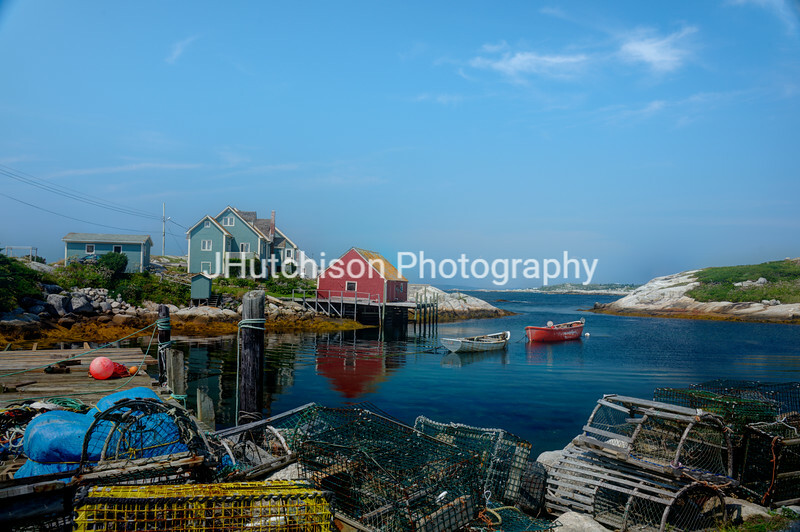 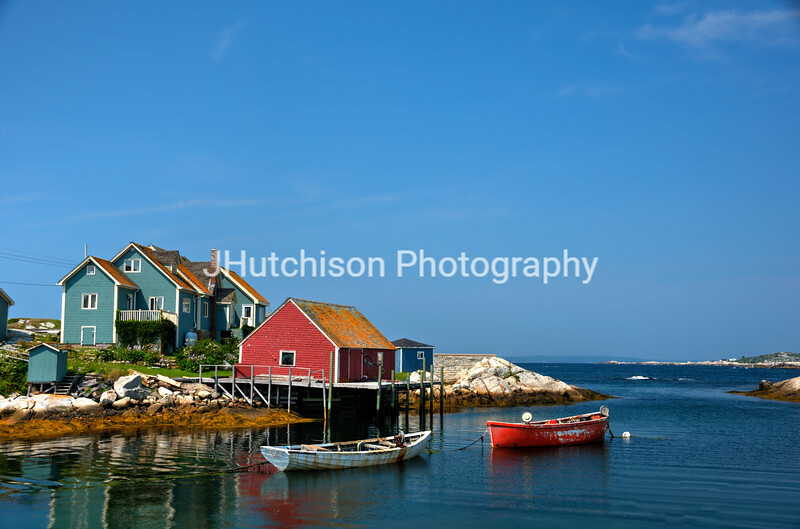 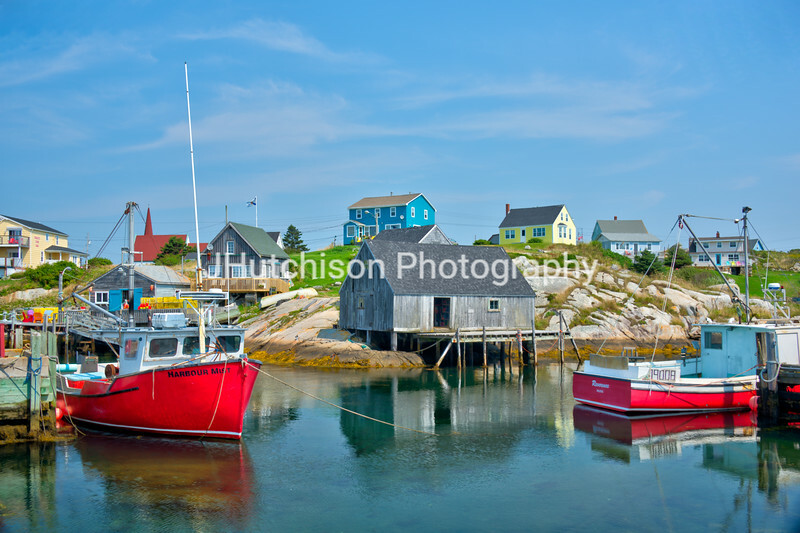 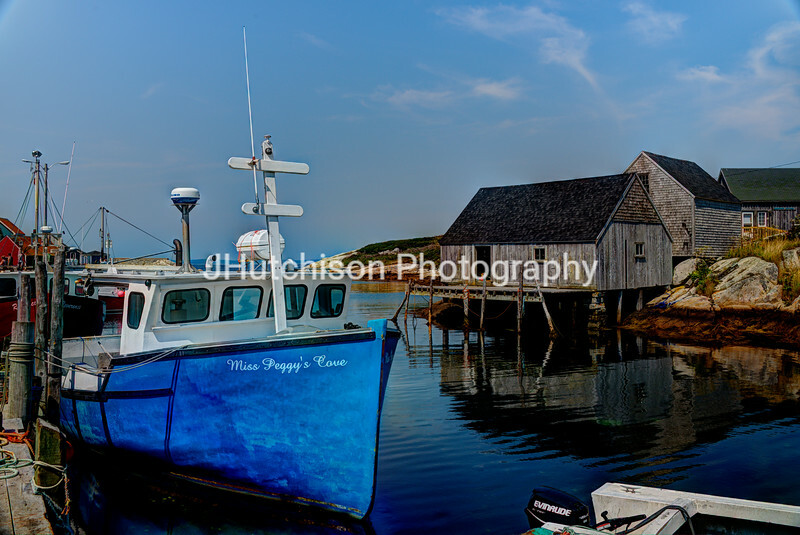 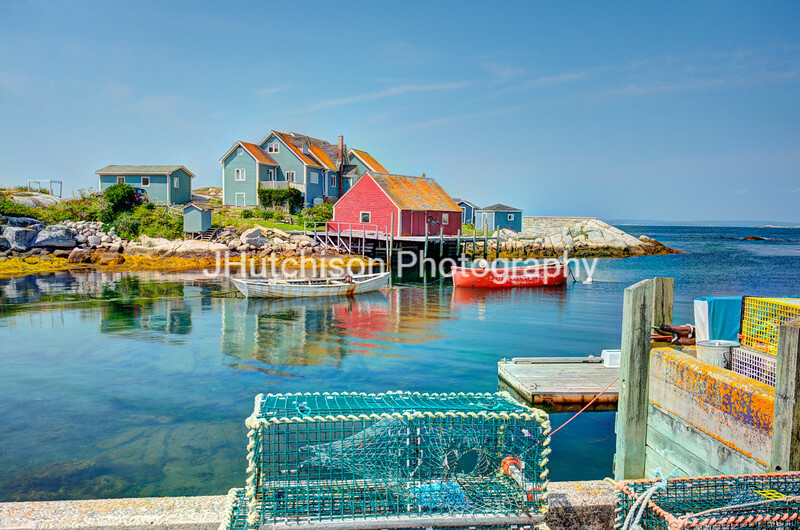 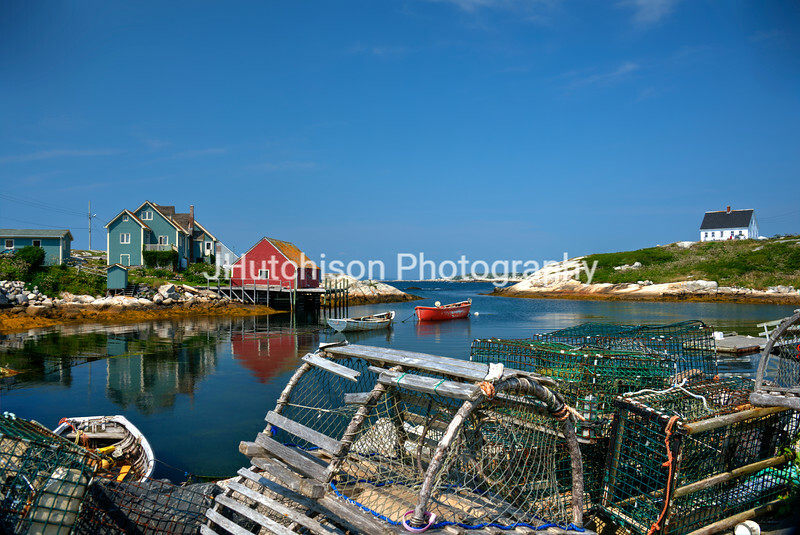 Lobster traps and fishing boats decorate the landscape. 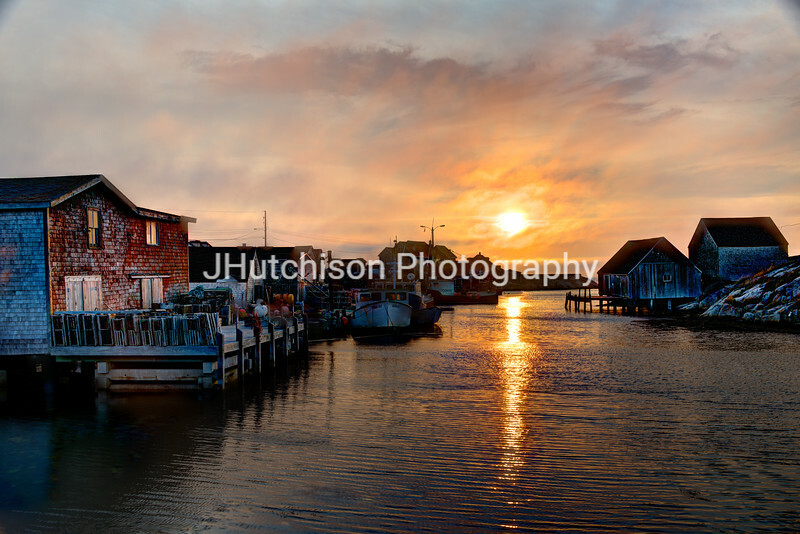 The fishing wharf and boats in the little village of Blue Rocks, Nova Scotia with the sun peaking up over the horizon. 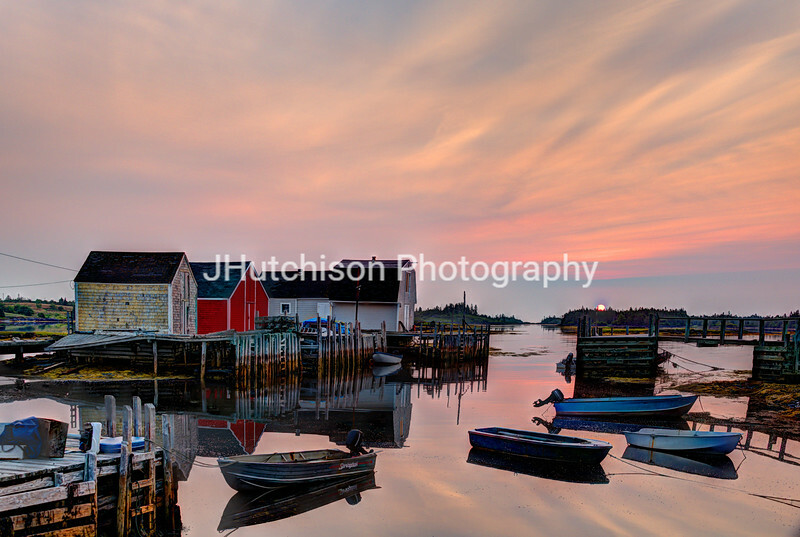 The sun setting in a band of fog over the harbor in the quaint village of Peggy's Cove, Nova Scotia. 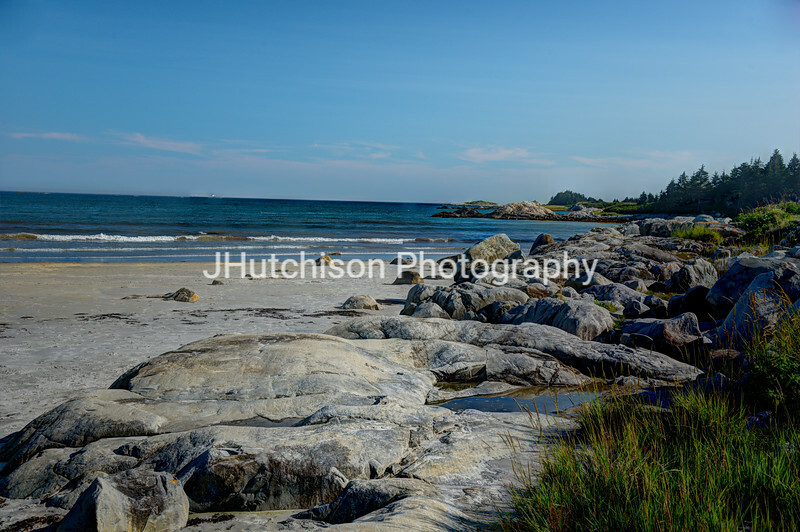 A beautiful sandy beach in Nova Scotia with a border of large rocks and the Atlantic Ocean. 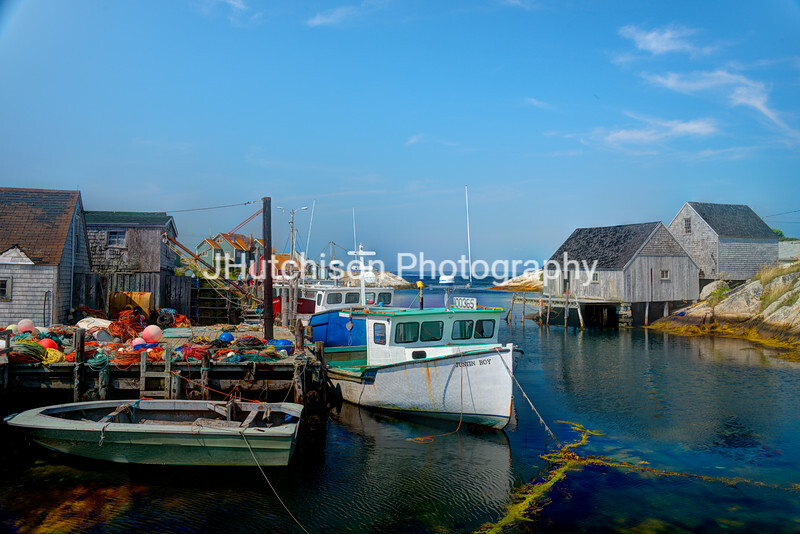 Low tide at the wharf in Blue Rocks, Nova Scotia. 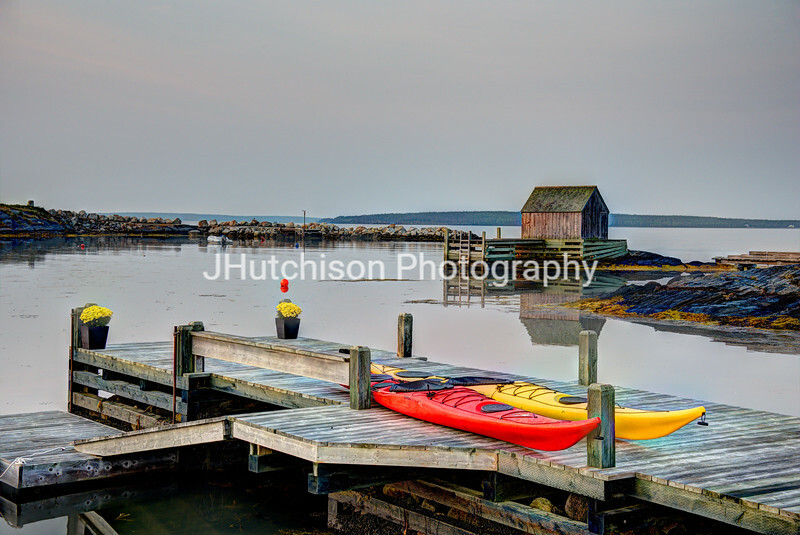 Fishing boats and kayaks sit in the harbor, waiting for the tide to rise once again. 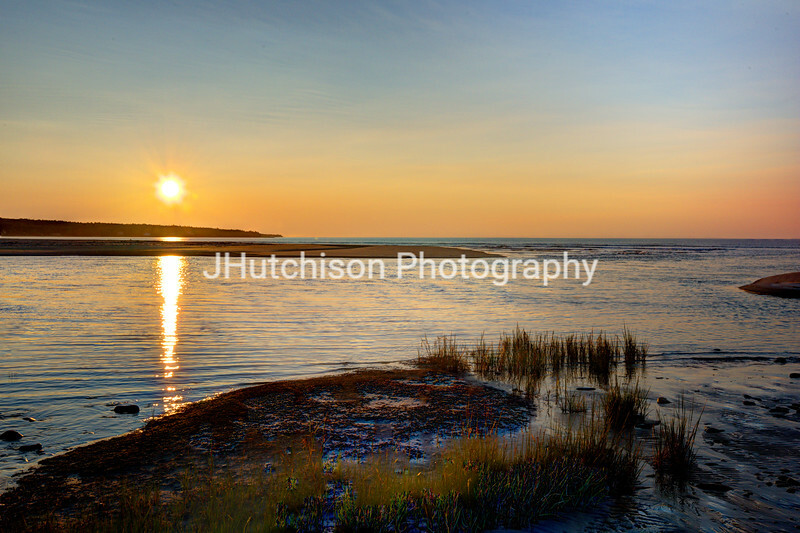 Sunrise over the sandbars along the southern coast of Nova Scotia and the Atlantic Ocean. 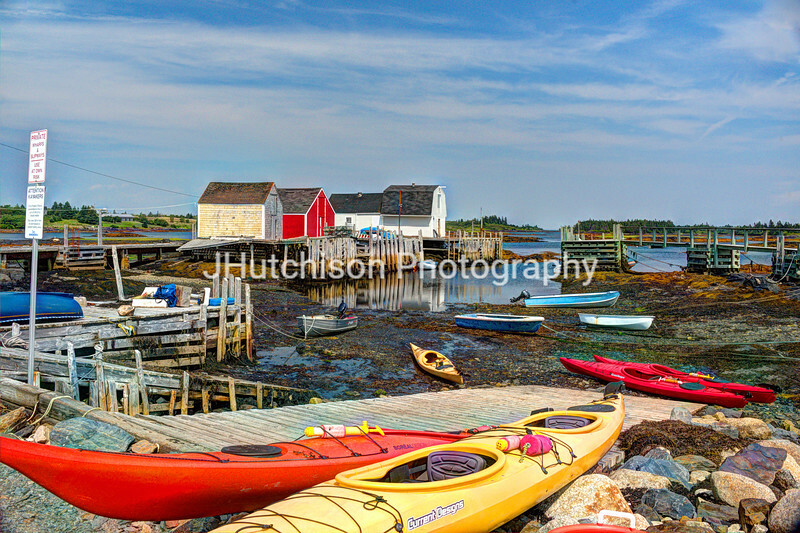 Kayaks and chrysanthemums sit on a dock in a quaint fishing harbor along the Atlantic coast between Lunenburg and Blue Rocks, Nova Scotia.